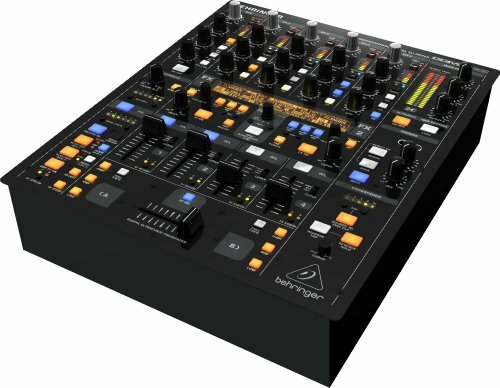 Conclusion – Should You Get The Behringer DDM4000 Mixer? 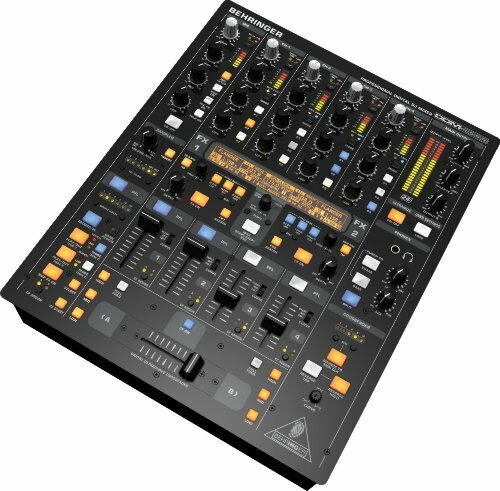 The Behringer DDM4000 is a professional DJ mixer board that comes with a variety of different features. Any professional DJs or aspiring DJs will really be able to fall in love with this board. It’s very easy to make use of it and comes with a lot of different features. You will be able to sample tracks easily and it can help you to put on a great show. The beat-synchronized sampler will definitely get a lot of use if you decide to purchase this unit. It is something that can help you to craft your own custom sets as easily as possible. It also works well with DJ software so you can hook this up to your laptop or another type of computer right away. If you have been looking for a good professional DJ mixer, then this is going to greatly appeal to you. 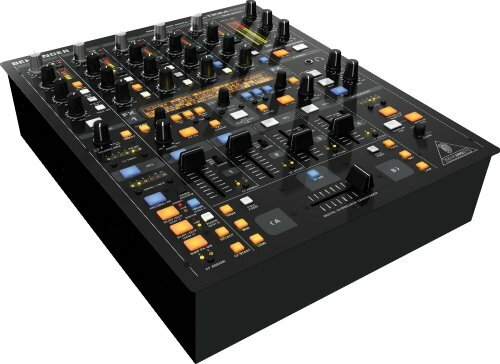 The Behringer DDM4000 is going to appeal to professional DJs and those who are just starting out as well. It isn’t an inexpensive mixer but it is cost-effective when you consider everything that it is capable of doing. Owning one of these mixer boards is going to allow you to you to put on a show with ease. It has proven to be popular at many different levels. It is not uncommon for professional musicians to make use of this DJ board. It has the right number of features to appeal to a professional, making it a very tantalizing purchase. It is also user-friendly enough to appeal to those who are just getting into the DJ scene. Whether you are interested in doing DJ jobs for weddings or you have actual aspirations for being a club DJ, this is the type of mixer that will appeal to you. Even people in the church have been able to make use of this type of DJ mixing board. It can be a very good tool for worship music when you don’t have a live band. Spending the money on something such as this will allow a church to have a lively worship service and could help to introduce worship music that will appeal to a younger demographic. It just goes to show that this Behringer DDM4000 has a wide appeal that will see it continue to grow in popularity. There will not be too many extra items included in the box when you purchase this DJ mixing board. It does come with a few things that you will want to be aware of ahead of time, though. You will receive a power cable for the board and a set of rack mount brackets too. The rack mount brackets will definitely come in handy when you are trying to position the board properly in your particular setup. You will also receive a handy user manual and the Behringer DDM4000 itself. 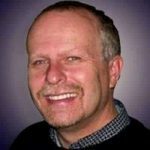 Hanging onto the user manual is going to be a good idea so that you will have some resource material about the various features. This should make it easier to get the most out of your new DJ mixer board. It is actually a pretty good value to purchase this unit so it might be worth your while depending on what you are looking for. There are various features that you will want to be aware of before deciding to purchase this unit. Firstly, it comes with five independent channels. This should be more than enough for your needs and will allow you to have both vinyl and CD decks hooked up at the same time. All of the channels have digital equalizers with a boost option that goes up to 12 dB. You’ll also be able to hook up two microphones to your unit at once. The dedicated mic channel is in mono and the feature works very well. You will always be able to be heard over the music when necessary, making this a very easy unit to use. The microphone channel even has its own FX button, which can have some interesting implications. One of the most appealing features of this unit is the crossfader. This crossfader is capable of being assigned to any of the channels between one and four. It also has a three-band equalizer kill button on either side for your convenience. You can adjust the curve sensitivity of the crossfader if you would like to as well. It is even possible to replace the crossfader if it happens to wear down after many years of use. It is unlikely that this will happen but it’s good to know that you have the option. Of course, the BPM-synced sampler is going to be another feature that acts as a selling point. It works really well and it makes it easy to use samples while keeping things in the right tempo. You can continuously loop the beats that you are sampling without any hiccups too. To add to this, the dual FX section also makes use of the convenient BPM counting technology. It will always feel simple to do what you need to do with this unit. If you’re looking for a board that allows you to scratch right out of the box, then you may want to consider picking up the Pioneer DJ DDJ-SB3 instead. It doesn’t have all of the convenient features of the Behringer DDM4000 but it will allow you to do more without the need to purchase a separate vinyl deck. This isn’t necessarily a better option but it is one that can work well as an alternative. Keep it in mind and compare the features to see which is going to appeal to you the most. The Behringer DDM4000 is a very good DJ mixer board that will appeal to so many different people. 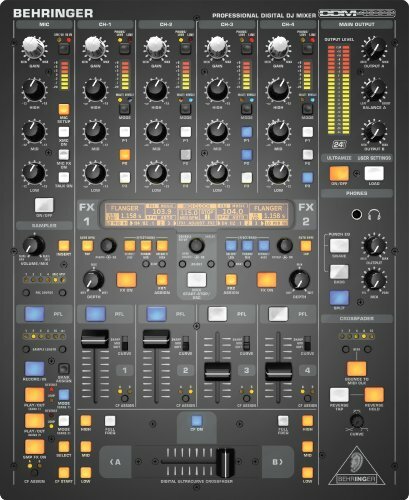 This could be a great mixer board for a renowned club and it could be an excellent touring board for a professional DJ. It is at a price range that might be affordable for amateurs as well, assuming that they want something that has a professional quality. When you are passionate about music and DJing, it makes sense to want a high-quality board such as this. 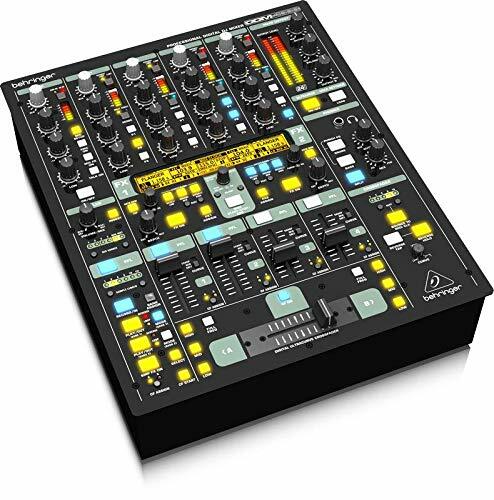 The features on the Behringer DDM4000 help it to stand out from the competition. The pricing is reasonable and you will be getting a lot for your money here. 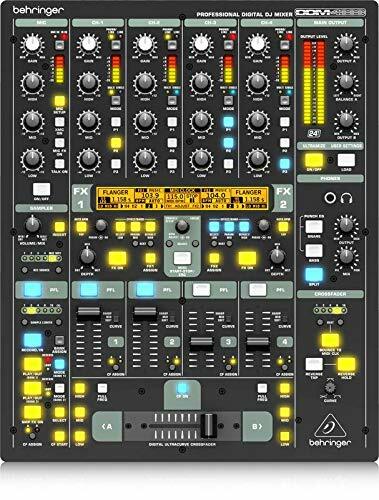 Consider this DJ mixer board if you want the best-quality board at a very reasonable price.